Phase 1 Homes Going Fast in 2015! Welcome Home to Fendee Estates! Have you been searching for Williston, ND homes for sale? Are you on the hunt for Williston, ND rentals? You’ve come to the right place! Welcome to Fendee Estates, Williston, North Dakota’s new & affordable residential housing community! With townhomes, twin homes, single family homes, & even lots to build your custom dream home, this subdivision offers a prime location just north of the city (off US-2 East/85 North). On top of luxurious finishes & in-demand features, we have a wide range of prices to fit most any budget. 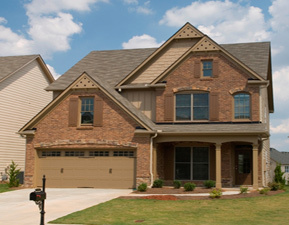 Call Fendee Estates to buy or lease your new home, today! Utilize this site to check out our floor plans, photo gallery, features within Fendee homes, & testimonials from the residents living in the community. Looking for all of our current listings? Find them through our partners at North Gold Realty. Fendee Estates & North Gold Realty are your trusted sources for finding Williston, ND affordable houses & rentals. Welcome home! Ready to Build Your Home? Upgrades: Granite countertops, stainless steel appliances, wood floors, & more!